Ectopic Ents is proud to announce the release of the long awaited new studio album by Foetus, entitled HIDE. 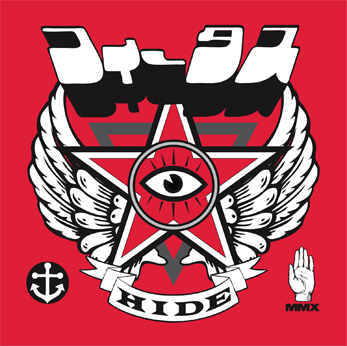 HIDE features ten new compositions by JG Thirlwell, who describes it as a “neo-symphonic avant-psychedelic concept album informed by the culture of fear”. Kicking off with a nine minute operatic opus featuring the guest vocal talents of opera singer Abby Fischer, HIDE is an immersive album infused with strands of progressive and contemporary classical, as well as Thirlwell’s twisting cinematic journeys, bombast and sombre interludes. Thirlwell produced the album and performs most of the music. Also guesting on the album are long time collaborator Steven Bernstein on trumpet and Leyna Marika Papach from Thirlwell’s Manorexia ensemble on violin. In addition Elliot Hoffman of Carbomb plays drums on a track, and there are appearances from Ed Pastorini, Jeff Davidson and Christian Gibbs (Lucinda Blackbear). Go to the HIDE page to preview and order.